Hoverboards with UL 2272 Certification are finally here in India! Now you can buy safe hoverboards without any risk of fire or injury! LATEST UPDATE - The word's best UL 2272 hoverboard is now available to buy in India, and it is surprisingly cheap! The only other UL 2272 hoverboard, the Razor Hovertrax 2.0 was around the range of 48,000, but the SwagTron T5 is just around 24,000. That is half the price of the Razor HoverTrax 2.o. Since safety and quality standards are not very stringent in India right now when it comes to hoverboards, or self balancing electric scooters, the market is flooded with cheap Chinese hoveroards that are unsafe and a definite fire hazard. In the USA hoverboards started to catch fire in 2015 and 2016 with alarming frequency. It was mainly due to the battery heating up during charging or while using the hoverboard. The hoverboard fires caused several homes to be burnt down and caused minor accidents across the USA and other countries. Soon it became such a menace that the US Govt. had to intervene. The CPSC (Consumer Products Safety Commission), a US Govt. Agency, banned sale of all hoverboards in the United States unless they were UL 2272 certified. UL is a more than hundred years old certification and safety standards organisation that has been at the forefront of safety standards a regulations for all of the world. It created this very stringent and difficult to achieve safety standard that included tests like 6 feet drop test, heat test, fire test, battery heating test and much more. If a hoverboard was UL 2272 certified, it was deemed safe, and that was thta. All saleof hoverboards stopped, but one of the leaders, SwagTron came up with the world's first UL 2272 hoverboard, the SwagTron T1. After that UL 2272 has become the de rigeur standard for ev4ry hoverboard across United States and Europe. In India with a lack of standards, cheap and dangerous Chinese hoverboards are still selling. Thankfully, SwagTron has come into India with their most popular and most affordable UL 2272 hoverboard, the SwagTronT5. And you can buy the SwagTron T5 right now from Amazon India, with the added assurance of a 30 day return policy. That is a real safety net, if we know one. To buy the SwagTron T5 from Amazon India, go here right now - SwagTron T5! The price difference between a SwagTron T5 and cheaper Chinese hoverboards available on Flipkart and Ebay is just a few thousand. Is it worth risking your child's safety as well as your family's and home's safety for a few thousand? We highly recommend that if you are buying a hoverbard, buy the SwagTron T5, and to add to the assurances there are over 500 customer reviews. Which means that thousands and thousands have already sold, and left customers so happy that they are lining up to buy more. Buy SwagTron T5 here. India's Best Hoverboard SwagTron T5 - Amazingly Low Cost for UL 2272 certified hoverboard! They used to be the best hoverboards in India, made to world class safety standards, but no more. The UL 2272 Razor Hoverboards have now been upstaged by SwagTron T5. Razor Hoverboards are on longer available on Amazon. The listing states that they are Currently Unavailable. That means that there is no knowing when these hoverboards will be back for sale. Having said that, the best place to buy hoverboards is definitely Amazon. Amazon listed hoverboards first in their Amazon.com US website, but at one point they removed every single hoverboard, which were selling so fast that they were the most popular gift in Christmas 2015 and 2016. And the reason they removed all the hoverboards was because they were concerned about the safety of their customers, above the profits they were making. While Ebay and other online stores continued to sell the hoverboards, Amazon came out with the strict policy that it will sell only UL 2272 certified hoverboards. And that is what they also follow in India. thus if a hoverboard is available on Amazon, then it is definitely UL 2272 certified and absolutely safe for you, your child and your home. The UL 2272 standard, in case you didn't read about it above, was established in 2016 by Underwriters Laboratories, the 123 year old safety standards organisation in the USA. This happened after a spate of fire related accidents on hoverboards. Cheap Chinese made hoverboard with no safety standards and faulty batteries were bursting into flames. They had caused several accidents including houses burning down. The CPSC or the United States Consumer Product Safety Commission, the US Govt. body banned all hoverboards, and only allowed sale of hoverboards that had passed the UL 2272 certification standards. That's when the safe and enhanced UL 2272 hoverboards came into the market. Today every hoverboard sold in the United States and Europe has to be UL 2272 certified, and Amazon across the world only sells hoverboards that are UL 2272 certified. Thus when you buy a UL 2272 certified hoverboard from Amazon, you are doing the best thing possible, for your child's, your own and the community safety and betterment. Add to that Amazon's written in stone 30 day refund or return policy and you are truly getting the best deal ine very way. Of course the overall quality of UL 2272 hoverboard is much better than other hoverboards available at a lower price point. Razor is a world renowned brand in electrfic rideables, and their flagship hoverboard the Razor hovertrax has n excellent reputationa nd great reviews from around the world. If you are planning to buy a hoverboard or thinking of gifting it to your child or anyone else, our strong suggestion is to go in for a UL 2272 certified Razor Hovertrax. Razor manufactures a wide variety of electric rideables and kick scooters that are famous around the world. Their worldwide website is www.razor.com, you can have a look but you can not purchase from there as they do not ship directly to India. Amazon India is the only place where you can buy genuine Razor hoverboards. The Razor Hovertrax 2.0 is currently not available on Amazon!! Welcome to Hoverboard India. We are a part of one of the world’s most authoritative websites on hoverboards. We are a team of technology and gizmo experts who are deeply interested in rideables, hoverboards and electric scooters, and want to share our knowledge to help anyone who wants to know about or buy hoverboards, which are also commonly known as self balancing boards, mini segways or two wheel electric scooters. Currently, India is a new market for hoverboards, and the hoverboards available here are limited. It is important to ensure that a low quality potentially unsafe hoverboard is not purchased, and for that the most important factor is a good quality li-ion battery. A Samsung or LG battery ensures that basic level of safety and quality, and that is what we recommend. Amongst the hoverboards available in India now, our team has picked three hoverboards that you can check out now. All three have Samsung batteries, and follow basic quality and safety standards. However, we leave it to your good judgement to choose them. If we were to go by world standards, then a hoverboard needs to be UL 2272 certified, and there are only three or four UL 2272 certified hoverboards in the world right now, all available in the US. You can read about the SwagTron hoverboards here. Hoverboard India - 3 low cost Hoverboards that you can have a look at right now! Hoverboard India has in-depth and authentic information about anything and everything to do with hoverboards. Whether you want to buy a hoverboard or want to learn more about hoverboards, you will get the best information and advise about hoverboards in India right here. At Hoverboard India, there is a lot to gain - hoverboard knowledge, buying advise, tips, tricks and of course reviews of the best hoverboards to buy in India. You will get the current Hoverboard prices in India, find the best Hoverboards on sale, get detailed Hoverboard Buying Guides, discover the cheapest Hoverboards in India, explore in-depth hoverboard information and much more. Thanks to Hoverboard-India, I chose the right hoverboard and got important tips on choosing and buying! Absolutely the best place to learn about hoverboards. I never knew about UL 2272 safety standards, wow… thanks guys! 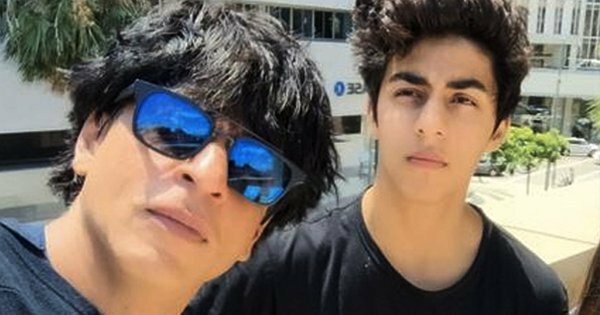 Look who’s a hoverboard fan – Aryan Khan, Shah Rukh Khan's son! Aryan Khan, Shah Rukh Khan’s son is a hoverboard enthusiast, and one of the first Indian celebrities to flaunt their hoverboard. Abroad, there are hundreds of celebrities who use the hoverboard regularly. Prominent amongst them are Jamie Foxx, Wiz Khalifa, Justin Bieber and surprisingly, Mike Tyson. 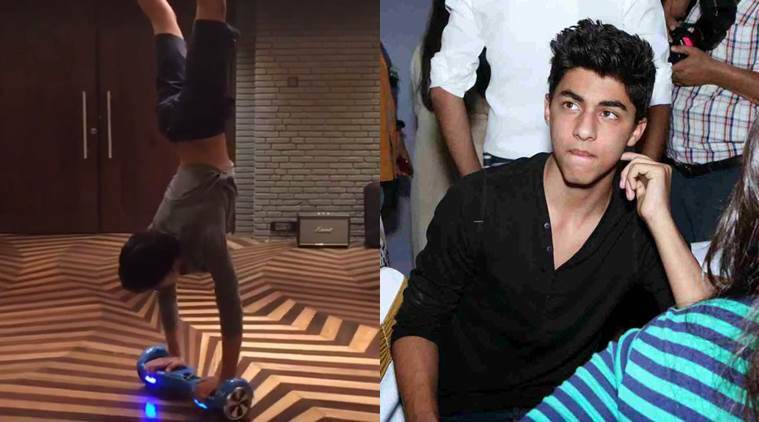 Here you can see Aryan Khan doing hand-stands on a moving hoverboard. He has been riding a hoverboard for quite some time and is quite an expert rider. There are many definitions of a hoverboard, but the kind of hoverboard we are going to be discussing is a two-wheel self-balancing hoverboard. To hover, means to float close to a surface, and by the classic dictionary meaning, a hoverboard should be a board that floats over a surface. However, the hoverboard we are talking about does not hover, albeit it does give the impression that the person riding it is hovering on the ground. It is known by a whole lot of names, with some of the common ones being balance board, mini Segway, self-balancing scooter, two-wheel self-balancing board etc. Different people call it by different names but the name that is clearly most used is ‘hoverboard’. It is the hoverboard that everyone’s buying – a board with two wheels that uses sensors and gyroscopes to stay balanced and is operated by an electric motor. It could also be described as an electric two wheeled self-balancing personal transportation board. Let us begin by figuring out just what a hoverboard does. Essentially, a person stands up on the hoverboard, and uses the footpads to control the speed and direction of the hoverboard. Though it looks simple when someone is riding a hoverboard, one needs some time to get used to the way the body has to balance on the hoverboard and to its sensitivity to small changes in foot pressure and the direction in which you are leaning. Now, let us start with what a hoverboard looks like, its main parts, what it basically does and its main accessories. Charger – The charger is an important part of the hoverboard as faulty chargers have caused many fires in the United States, primarily due to low quality batteries that over-charge, heat up and catch fire or explode. The origin of the hoverboard is the Segway that was invented by Dean ﻿Kame﻿n. The Segway used electric gyroscopes to keep it balanced, and moved according to the direction your body leaned. It had a prominent handle for gripping and directing the Segway. The basic ideas of electric gyroscopes along with foot pressure controlled motors was what Shane Chen a Chinese origin Seattle (USA) engineer-entrepreneur, used to design the first hoverboard. He called it the Hovertrax and this is what the original design was. He started the hoverboard idea as a kickstarter project and soon he was in a position to scale it. He was granted a patent for the hoverboard in 2014, and soon went to Chinese manufacturers to make his hovertrax hoverboards. His company was called Inventist, and he had also made other devices like the one wheel electric scooter. When Chen’s hoverboard was manufactured in China, specifically in the Shenzen technology promotion zone, soon other manufacturers started to replicate the dewsign, while making their won design alterations. Thus, all of a sudden, thousands of Chinese manufacturers started making and importing hoverboards, as their demand rose in the United States. An important aspect of hyoverboards is the lithium ion batter or the li-ion battery that powers it. The cheap Chinese manufacturer who had followed no quality of safety standards used low quality batteris that resulted in many fires. Hoverboards have two wheels, and inside the wheels are the motors that move the hoverboard. In the picture below you can see the motor inside a hoverboard wheel. On the top side of the hoverboard are foot pedals which control the speed and direction of the hoverboard. These foot pedals are connected to sensors that detect which way and at what speed the motor needs to spin. The chassis of the hoverboard is metallic and the heaviest part of it. It is composed of two potions that can move around a rotating shaft. Take a look at this video that shows a hoverboard being taken apart. Hoverboard riding is quite simple. At its core it is like riding a cycle. It is basically balancing your body and moving your feet in co-ordination. A few trials should be enough to learn the art. Before learning to ride a hoverboard, however, a few important points are to be carefully noted. Most hoverboards have a Beginner Mode, you should learn in this mode, which means the movement of the hoverboard will be slow and more amenable to control. Second, you should ensure that the hoverboard is fully charged as otherwise, in case of the battery being out suddenly, you could lose your balance and fall. Third, protective accessories like helmets, knee and elbow pads should be invariably used to prevent injury in case of a fall. Another precaution is to choose preferably, softer surfaces like carpets or a well cut grass field, in the interest of prevention of injuries. Now, over to actual learning to ride a hoverboard. As stated earlier balancing is the key here. Please ensure that the hoverboard is steady before placing your dominant foot on it. Keeping it level and steady and avoiding any jerk or sudden movement. Then, you should carefully place the other foot on the hoverboard. It is important that you maintain steadiness in the initial stages. Gradually the learner will have a feel for proper balance and steadiness of the hoverboard. Everything has to be done very slowly and carefully. It is advisable to start learning near a wall or a pillar. You can even take the help of a supporting hand or a shoulder of a family member while learning to steady and balance yourself. Once you have the feel for steady balancing, you should start learning to move the hoverboard forward and backward. For moving the hoverboard forward, you should press down the front part of your feet. This will put pressure on the front part of the footpads of the hoverboard leading to forward movement. Similarly, you need to press the back part of the footpads to make the hoverboard move backwards. For making the hoverboard turn to one side, you have to make one wheel move faster than the other. The faster side will move ahead of the slower side, making the hoverboard turn towards the slower side. After some practice, you can experiment for better control of the movement of the hoverboard and start having lots of fun. Hoverboard-India.com is a participant in the Amazon Associates Program, an affiliate advertising program designed to provide a means for sites to earn advertising fees by advertising and linking to amazon.in.